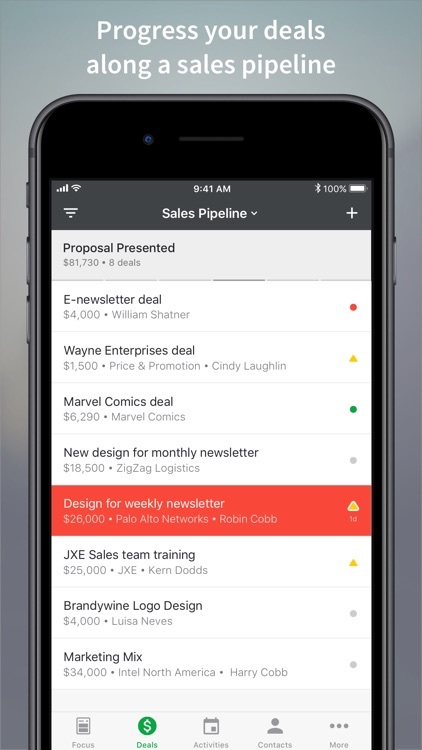 Stay on top of your sales pipeline with the iOS app for Pipedrive. 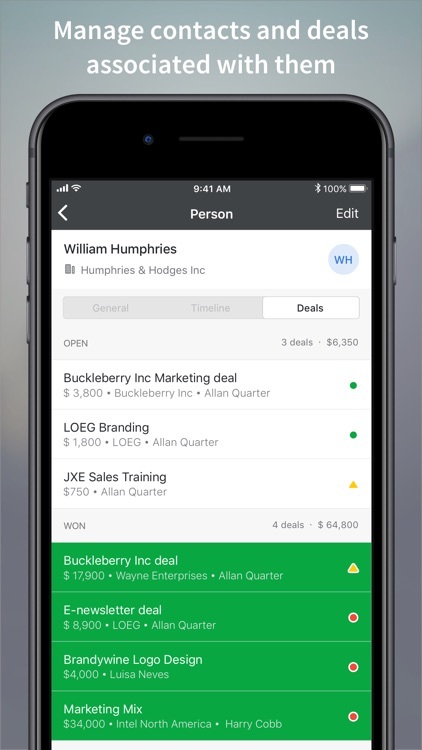 Pipedrive is a powerful sales CRM for small teams with big ambitions. 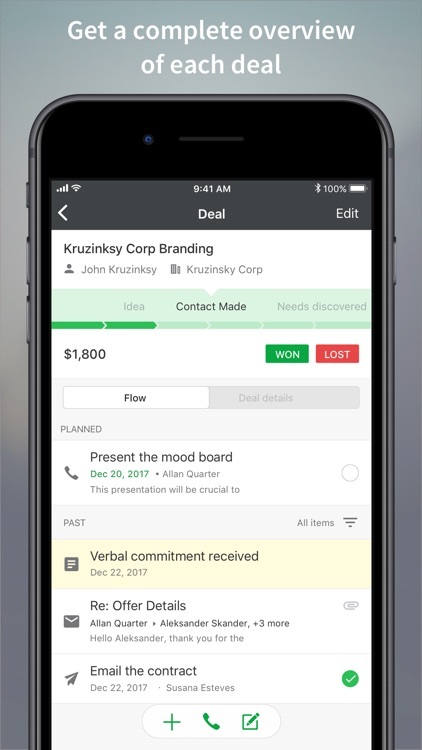 It helps you focus on the right contacts and gives you more control over your sales results. 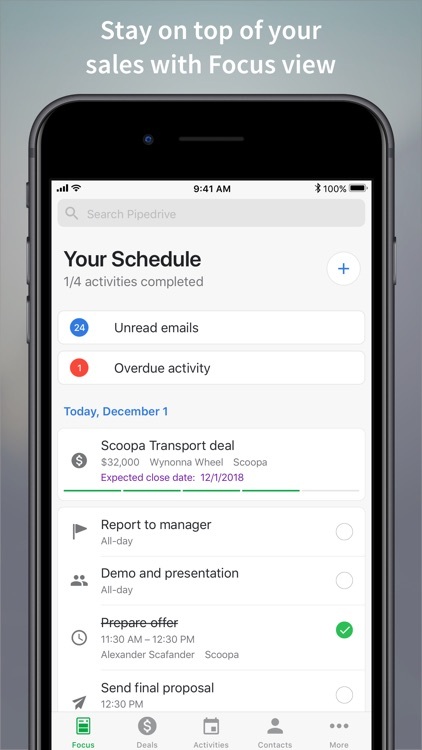 With Pipedrive for iOS you can access your contacts, deal history and to-do's, create tasks and take meeting notes wherever you are - all changes are instantly synced to Pipedrive web app. 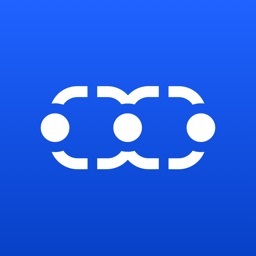 ∙ Access your to-do list and contacts instantly. 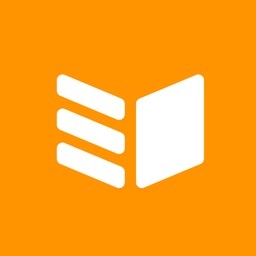 ∙ Log your phone calls. 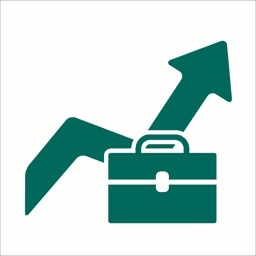 ∙ Explore your business on a map view. 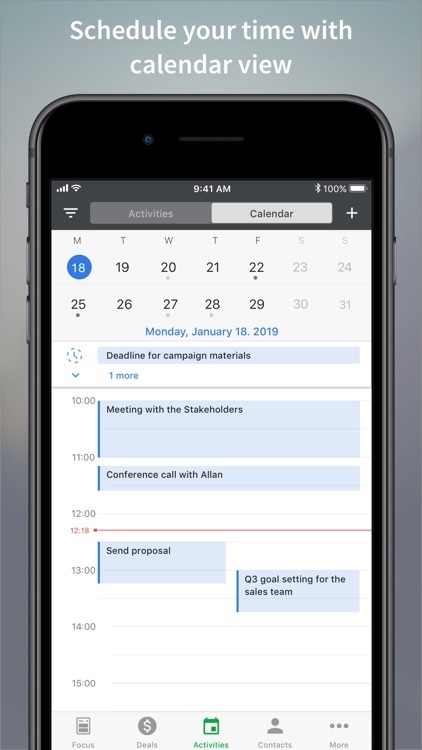 ∙ Schedule better with a smart agenda view while planning new activities. 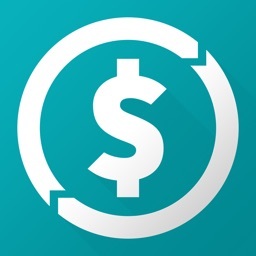 ∙ Look up customer and deal details on the go. 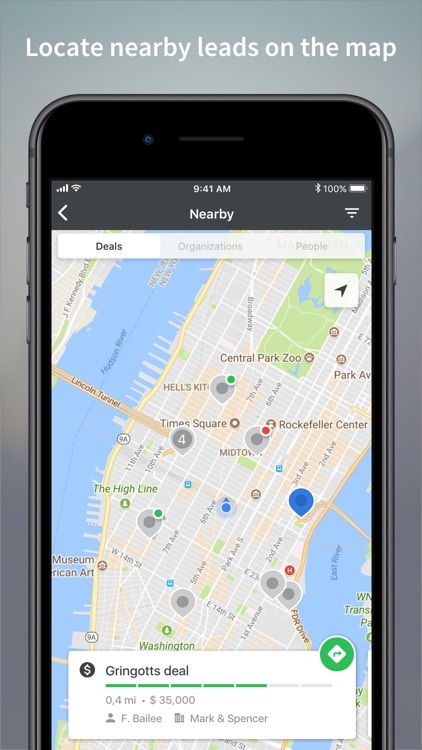 ∙ Access files related to your contacts and deals. 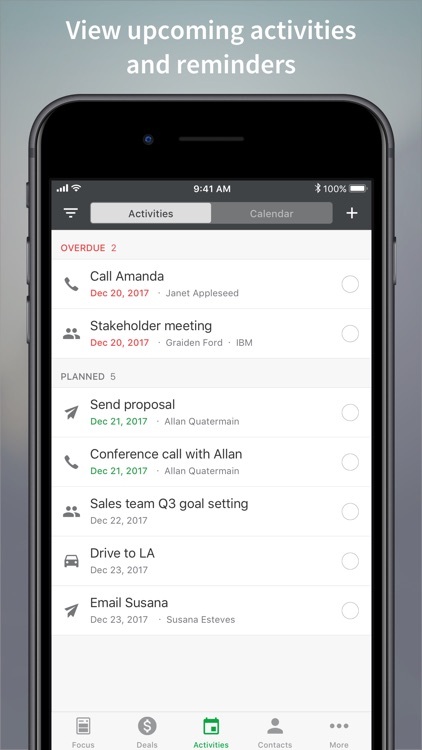 ∙ Record or type meeting and call notes - synced instantly to web app. ∙ Powerful offline syncing for those long flights and metro rides. 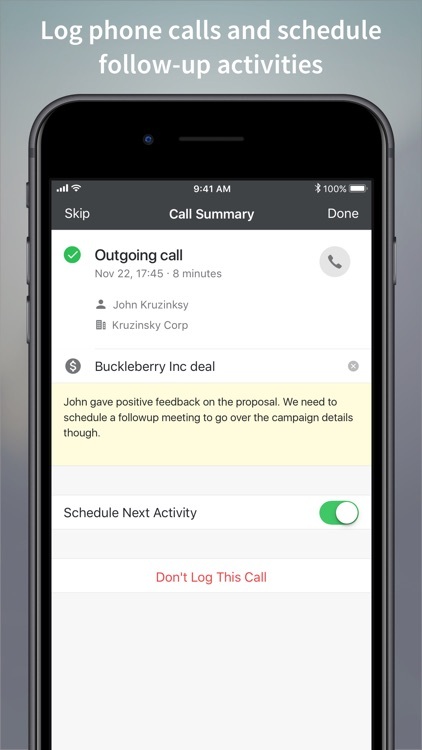 ∙ Start new calls and emails with just one click. 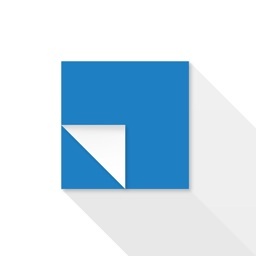 ∙ Get the powerful combination of mobile + web. 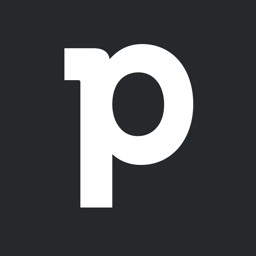 A Pipedrive account is required to use Pipedrive for iOS.